Waiting for one night a week to watch a single episode of your favorite TV show is so passé. Now networks have to compete with Netflix, where you can binge shows to your heart's content. Netflix has hundreds of shows for you to choose from, including new episodes of currently airing favorites, their own original content, and classics you may have missed when they were on network TV. 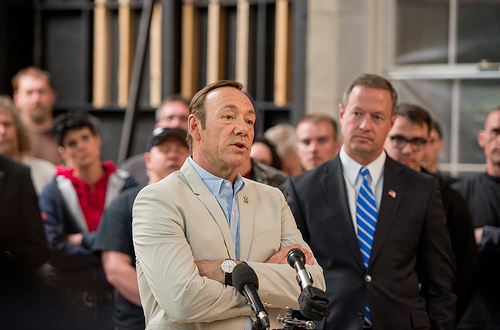 Watch Kevin Spacey break the fourth wall and talk in a charming Southern accent as his character Frank Underwood maneuvers through the United States political system. His powerhouse wife Claire (Robin Wright) joins the machinations, creating a frightening political power couple in this Netflix original series. Four seasons are out right now, and Netflix releases the episodes of each new season once a year in one fell swoop. Just don't watch this one right before voting, because you might start looking askance at your choices on the ballot. You may have missed “Friday Night Lights” when it was airing because you're not a sports fan. The show is ostensibly about a high school football team and its coach (Kyle Chandler), but the reality of the show is much more complicated. Race, sexism, classism, and more all come up in this wonderfully written show. Character is the main focus of this drama. The show pulls you in from the very first episode and doesn't let you go until the end of the final season. You might be a grown adult, but that doesn't mean you always have to watch adult shows on Netflix. “Adventures of Puss in Boots” is an animated series featuring everyone's favorite swashbuckling cat from the Shrek series. “Puss” has gone through three seasons, all released through Netflix. The show focuses on Puss trying to rectify a mistake he made which puts his favorite city in danger, as he does all he can to keep the city hidden. It's absolutely adorable, perfect for a night when you need some levity and stress relief in your life. 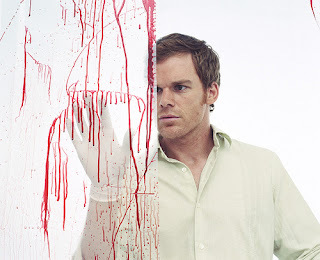 Eight seasons of watching mild-mannered serial killer Dexter (Michael C. Hall) pick out victims for slaughter makes “Dexter” a binge-worthy show indeed. You may have missed this classic because it aired on Showtime instead of regular cable. Once you see the first episode you'll realize why the show needed a pay-per- view network. Netflix makes it easy to binge this darkly funny drama on your smartphone. If you've got a phone with a large screen, like the Galaxy S7, and you connect through T-Mobile, you've got great options for bingeing “Dexter” wherever you go. T-Mobile has a feature called Binge On, which will give you unlimited streaming of “Dexter” and other shows through Netflix. Need something to binge on while you're waiting for more “Downton Abbey”? Here is another BBC period drama featuring a cast full of strong, talented women, such as Jessica Raine, Jenny Agutter, and Pam Ferris. “Call the Midwife” focuses on the 1950s in the poverty-stricken areas of London. Several young women are nurse-midwives working through a convent, making house calls and delivering babies in all kinds of circumstances. The historical information and the life of each character makes this show rich in both plot and humanity. It's still airing on BBC, and you can catch each new season on Netflix a few months after it premiers. Depending on your bingeing skill-level, you could finish these shows in a month, or you might need six. Rest assured, when you're ready for new content, Netflix has your back. Comedy lovers, sci-fi aficionados, horror fans, and drama addicts will all find something to binge! Wow, I have not seen any of these. I only watch very little TV from satellite. I will have to think about Netflix.